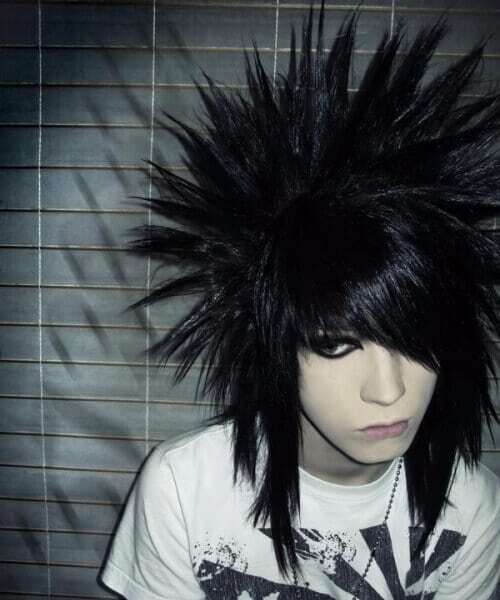 The emo culture has its roots in the crazy 80s. 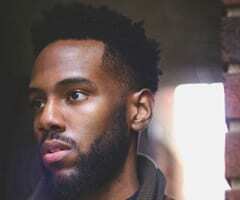 Back then, it was a type of manifestation that branched out from underneath the punk movement. Even though it had its ups and downs in the past almost 40 years, it still holds it ground, nevertheless having appeal and allure to many boys and girls around the world. 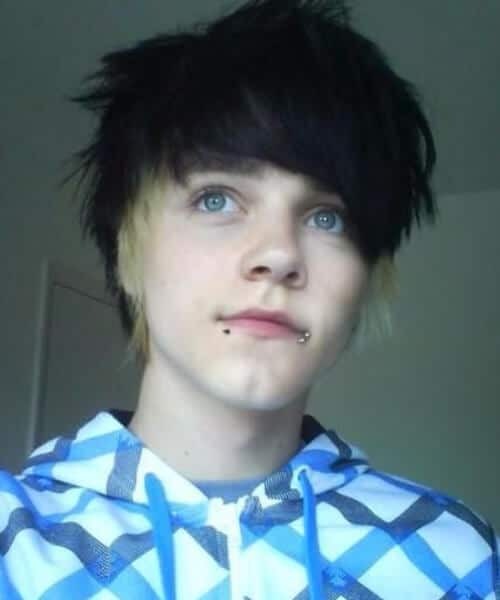 Most emo hairstyles for guys used to be about wearing your hair as black as possible in the traditional emo swoop. Things are changing a bit, and we see much more color and creativity. Don’t believe us? Keep scrolling to find out. 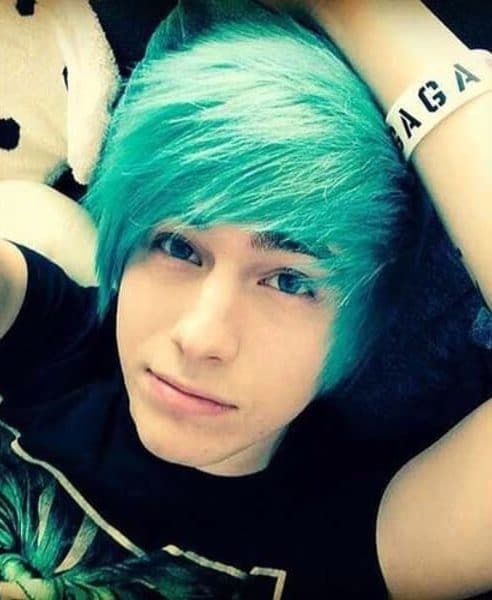 We begin with the classic emo swoop but this time in a bright mint green. Emo swoops are also known as emo shags. They are characterized by very long bangs that are worn on one side of the face, usually covering one of the eyes. 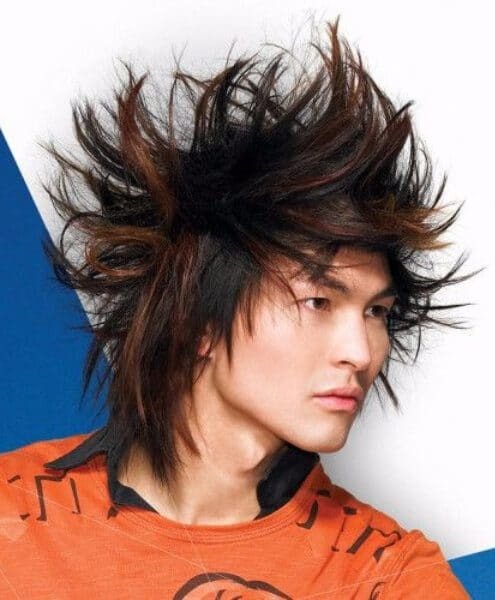 This is a shaggy emo haircut in a very dark and rich chocolate brown color, spiked with a few vanilla peekaboos here and there. 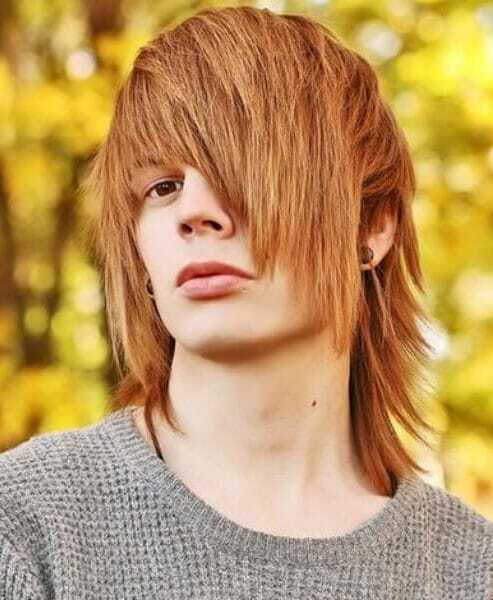 The result makes for a great chestnut shade that works magnificently for any emo hairstyles for guys you can think of. Here are all of this subculture’s signature motives wrapped up into one. 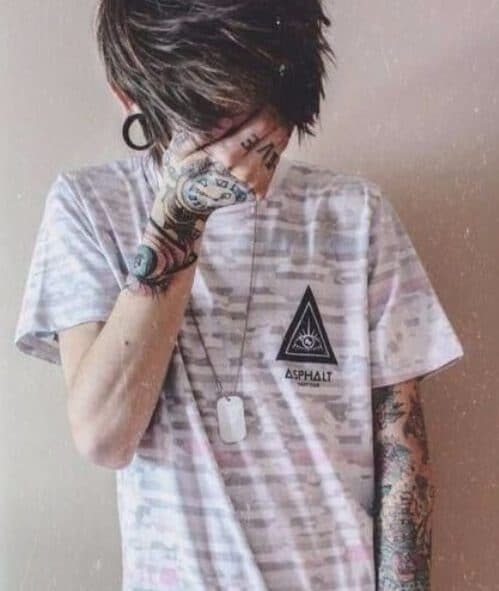 You have your emo hairstyles for guys, your face piercings, your sleeve and neck tattoos, your large earrings, and shaved eyebrow. 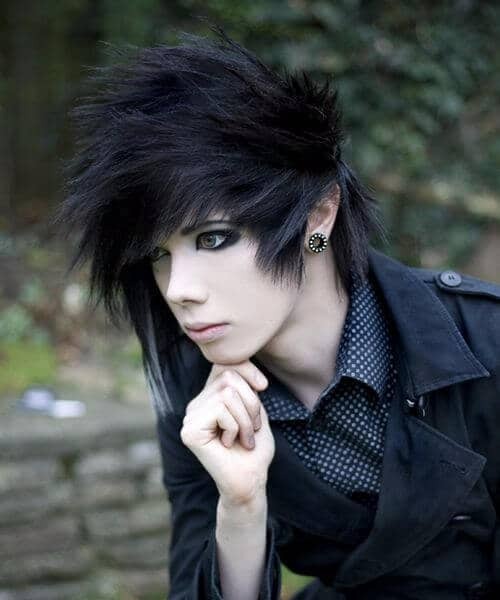 This model could advertise being emo. 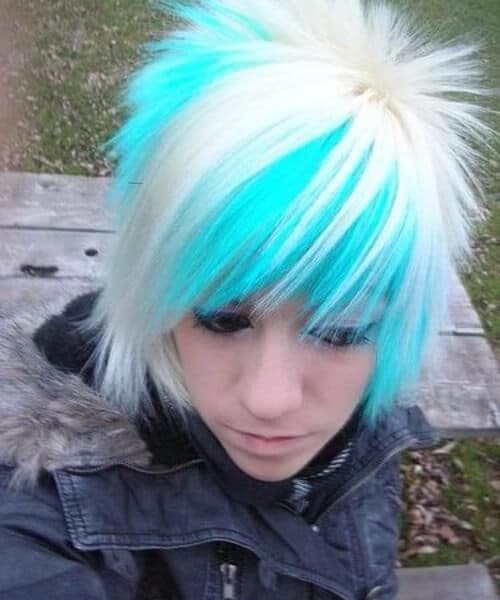 Another amazing color that has been all the rage in the emo subculture in the past few years is neon blue. 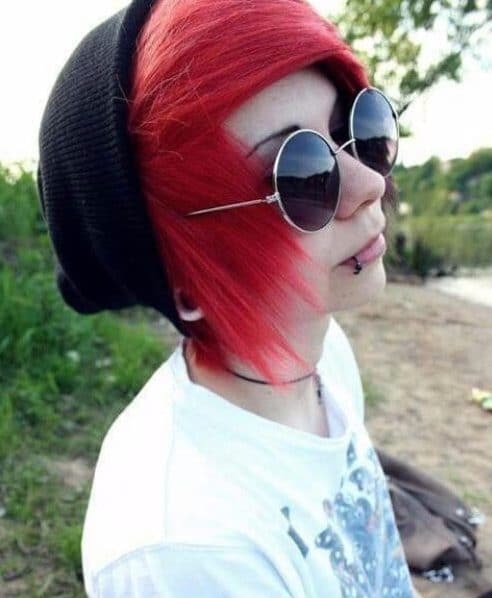 As long as you keep the emo shag and add a few lip piercings and a hipster hat, you can move being emo into the 21st century. 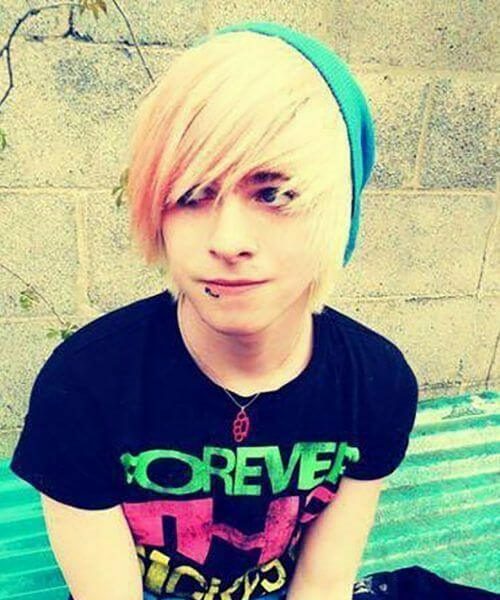 One trend that we utterly love when it comes to emo hairstyles for guys is pastel. However, apart from the pink and blue hair, this is taking it to another level. 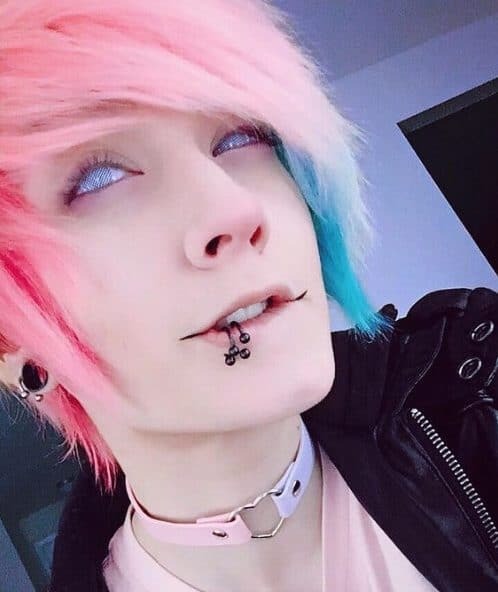 The matrix contacts, the piercings, the black lip designs at the corners of the mouth, and the heart-shaped choker come together to complete this fabulous look. 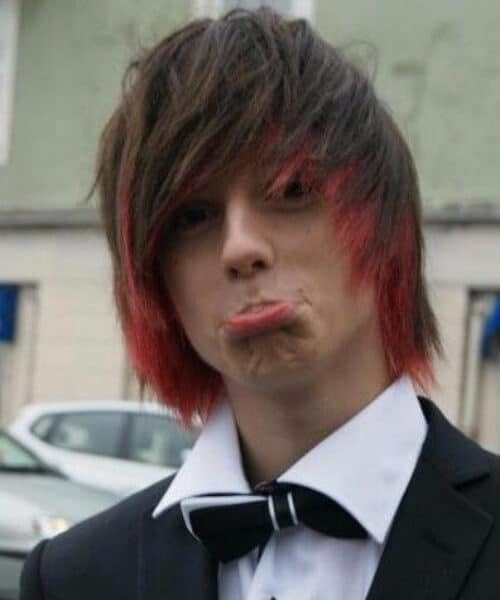 We are so glad to see that the emo trend is really catching up with the rest of the world. We also love the fact that its exponents have let go a little bit of the dark raven hair and thick ties they used to wear, keeping it casual with pink hair, beanies, and T-shirts. 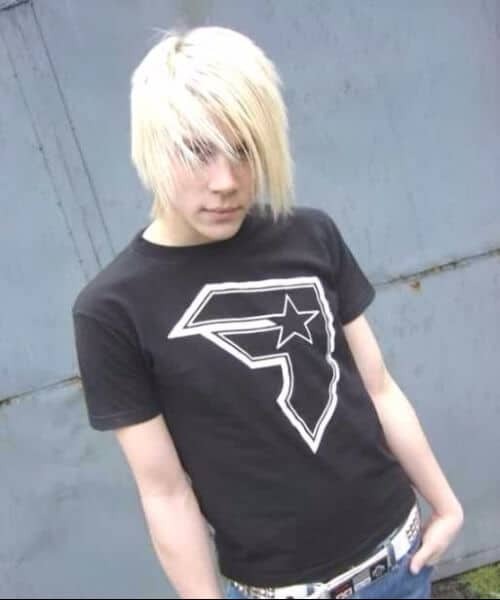 A couple of years ago, a blonde emo guy would have been a blasphemy, probably. Nowadays, it’s creative and fun to watch, showing us all that fashion and style are not about fitting into a box. They’re all about expressing how and what you feel on the inside. 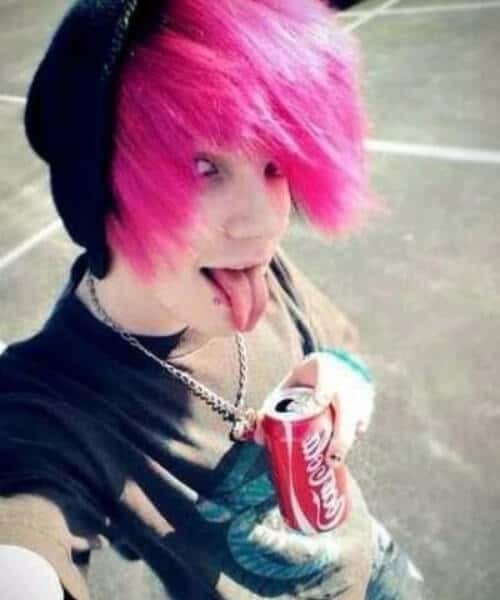 You can call this the reverse emo if you want. 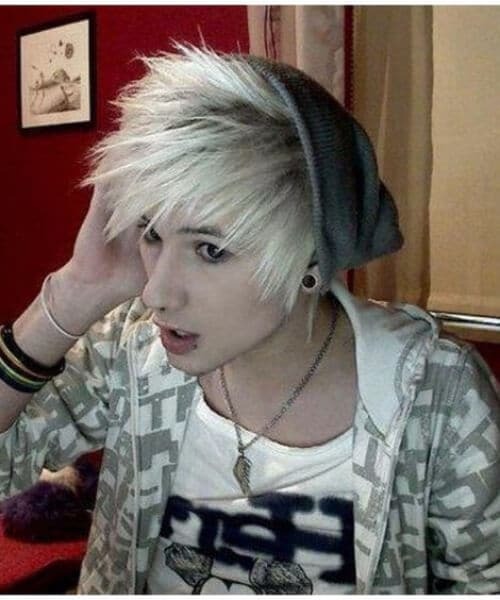 Even though you can decidedly notice the spiky emo shag, this time it’s in a pristine icy platinum blonde. 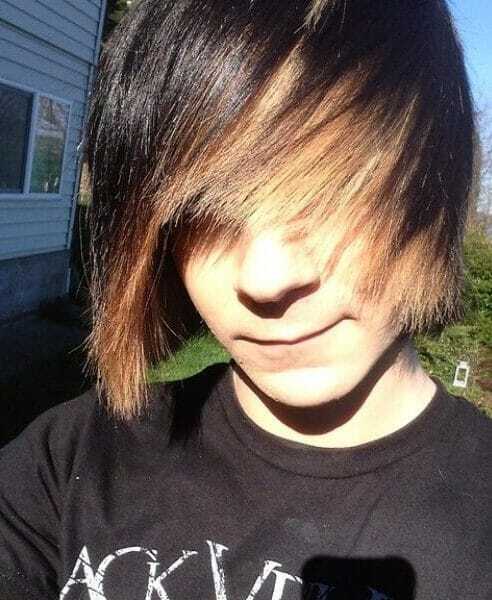 It’s the reverse of the dark brunette that lovers of the emo subcultures usually wear. 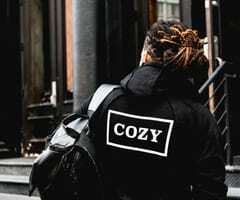 If you can’t seem to make up your mind between the traditional and the new looks that involve the emo trend, then you can always mix and match. 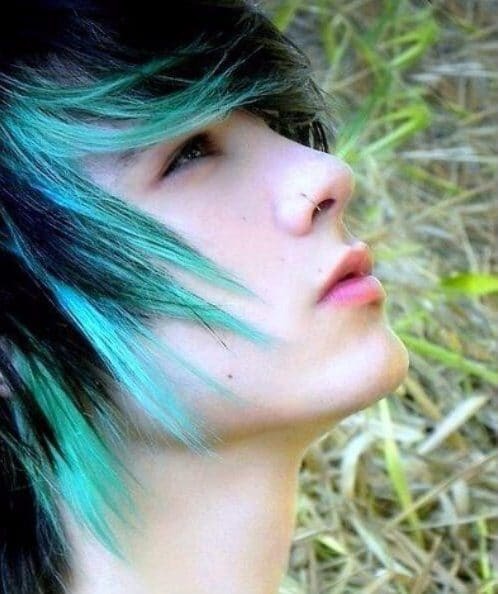 Here is the emo swoop in the classic dark with just a touch of fresh mint green on the fringes. The same principle as above applies here. Only that this time it’s your natural brown hair color spiked with some fiery red. You can do this for a special occasion, such as the prom when you need to look your best for your date. We are positively in love with this asymmetrical set of bangs. 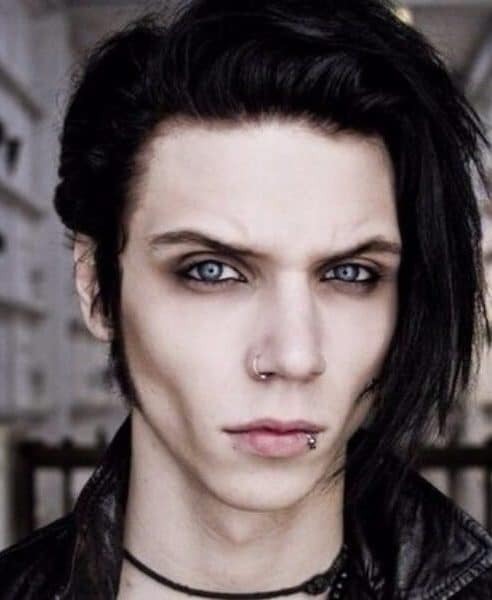 It’s one of those emo hairstyles for guys that covers the entire face, all straightened up, glossy and shiny, complete with lip and ear piercings. And the beanie doesn’t hurt one bit! 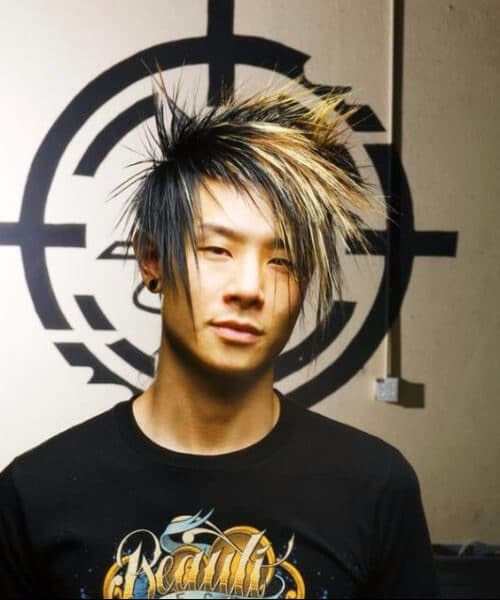 Apart from the emo swoop, this is another traditional emo haircut. You can recognize it a mile away and know to which sub culture it belongs to. Granted, it does take a lot of hair product to pull off as well as a lot of maintenance, but it is worth it. This is where creativity meets art and fancy. With just a little bit of hair wax, you can create these two little purple horns and wear them on a special night such as Halloween or for a favorite concert. Don’t worry, they are not that difficult to make. 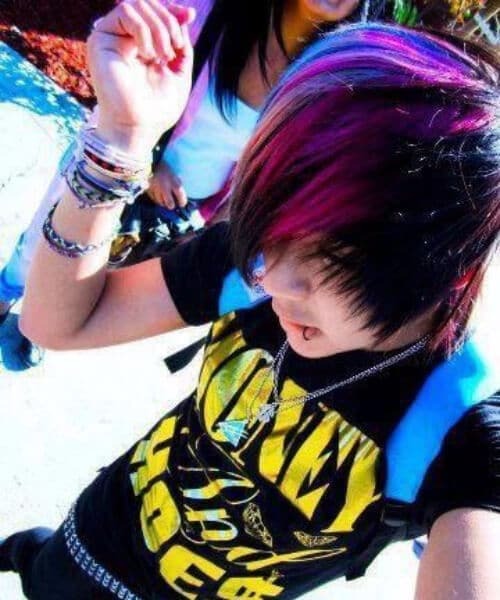 As the emo subtrend spread across the world, every culture and society it met put its imprint on it. The results, evidently, were fantastic to watch and analyze. 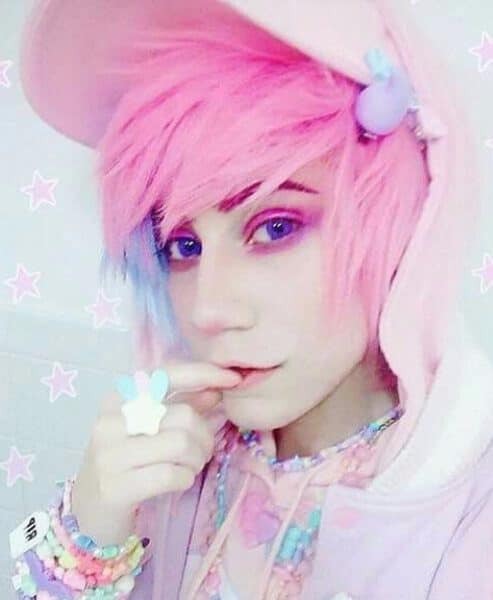 This, for example, is the fairy aesthetic, that begins with shocking pink hair, matching eyeshadow, and indigo contacts. 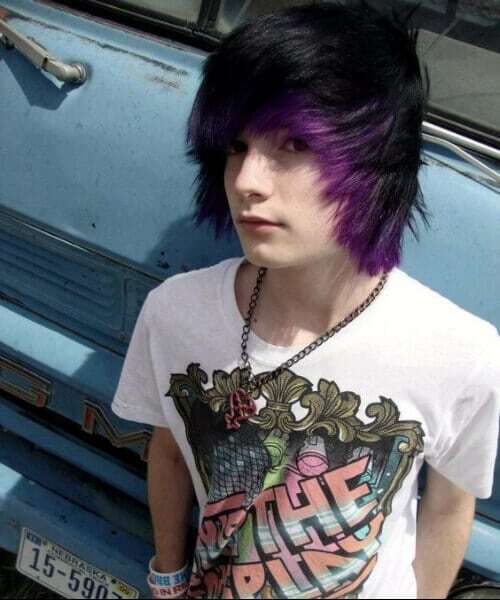 Continuing our mix and match streak as far as emo hairstyles for guys go, here’s a swoop with dark, silky brunette and purple at the ends. You can try a shade of purple that works best with the color of your eyes as well as with your skin tone. Another amazing color you can go for is a more natural one this time. It’s a gingery red with darker roots which is bound to attract all eyes to you. Don’t forget about the long bangs, and, of course, the piercings. There’s green and then there’s metallic green. This toxic and industrial shade of fresh forest is exactly what a modern emo guy would need. Stop being encumbered by traditionalism so much and start living in the now! If you like this teased up look, then you’ll be happy to find out it’s really easy to get it. All you need is some hair spray or hair wax and a hair brush with soft bristles. Apply the product in a liberal quantity and use the brush to tease up the hair as much as you want. From the side, this haircut looks a lot like a wannabe mohawk. Only that it’s not. Which is lucky for you because that means you won’t have to shave your head at all. 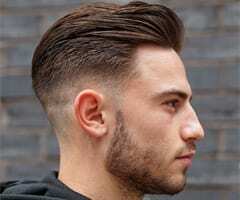 However, you will have to get a layered haircut, so that you can work some spikes in the shape of a mohawk. Artificial colors are a big hit with both boys and girls in the past few years. They are called bottle colors for the simple reason that they look as if they came from a bottle and have little to no resemblance to what natural hair might be. Remember that if you want to go for the mix and match idea when it comes to hair color, it doesn’t have to be perfectly balanced. You can get as creative as you want. In the end, your hair is just another means of expressing yourself. The great thing about such a color in your hair is that you can actually match your clothes to it. This leads to a unique sense of style and fashion that will put you at the forefront of the game. Add the right accessories and you’ve got yourself a winner look! 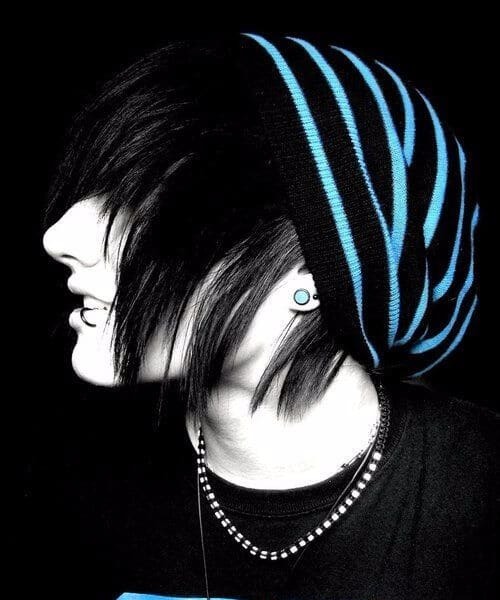 Here’s an emo hairstyle that works equally well for boys and for girls. The only tiny change or addition you can make if you happen to be a guy is the sideburns. If not, this haircut will be the perfect androgynous style you’ve always been looking for. 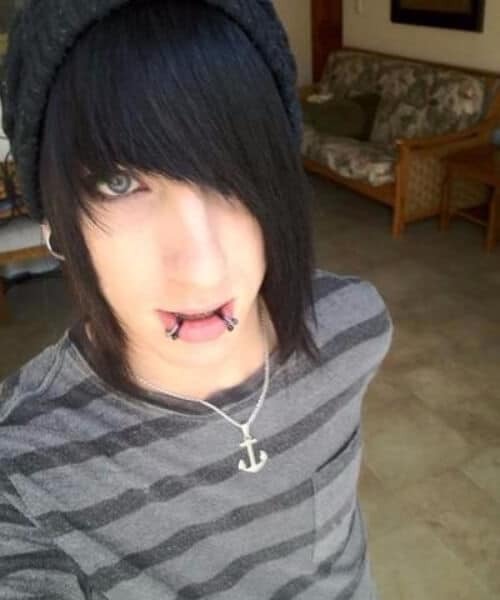 As far as emo hairstyles for guys go, this is another very recognizable one. The long and asymmetrical bangs cover one of the eyes in what has now become a staple haircut and look for the emo subculture. 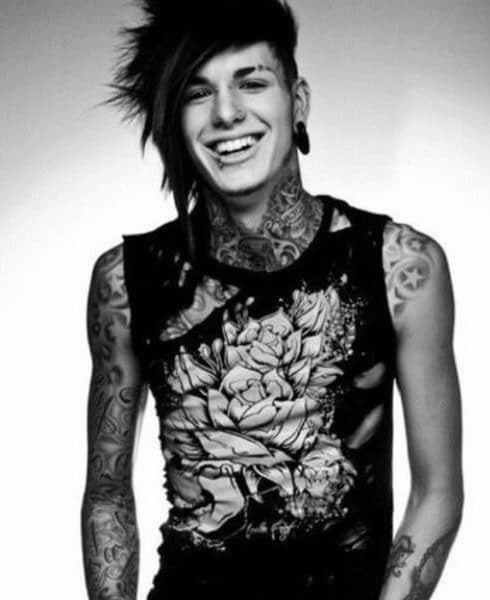 The black eyeliner and lip piercings are a must as well. 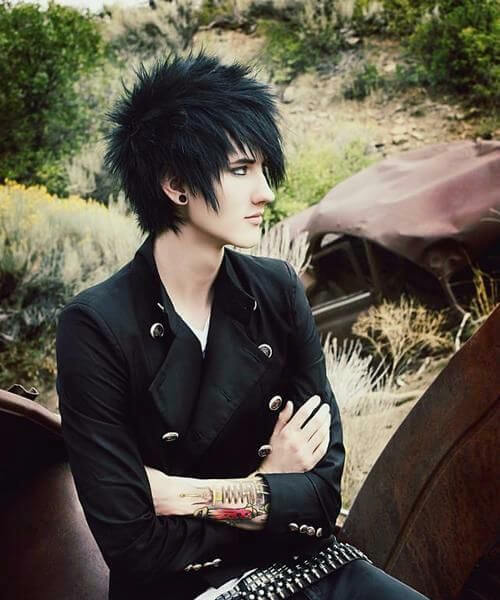 Emo meets modern, and your masculine side will embrace your feminine one if you decide to go for this fabulous hairstyle. It’s the old emo swoop, this time in a fantastic and natural brown ombre. What more could you want? 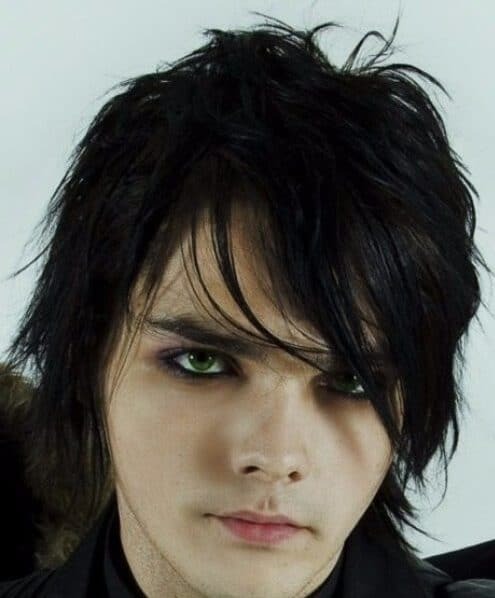 One of the heroes of the emo subculture is the lead vocal of the band My Chemical Romance, Gerard Way. 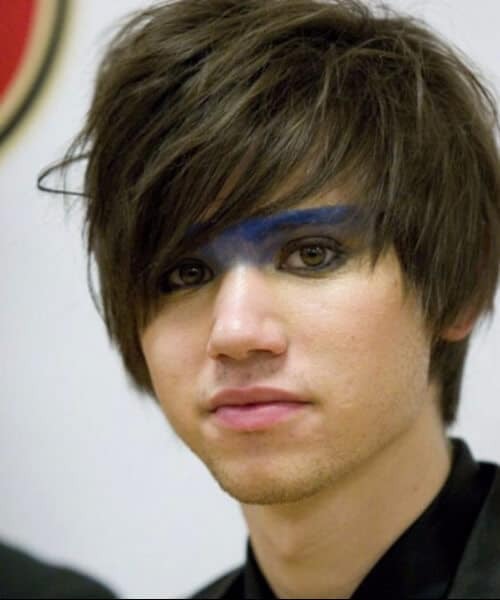 He sports a classical messy emo haircut with long bangs and lots of eyeliner to match his dark stage persona. 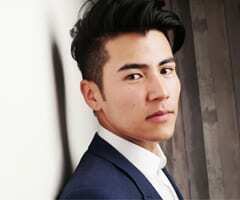 If you want to shake things up a bit and move away from the whole emo swoop, you can always go for the more modern pompadour. 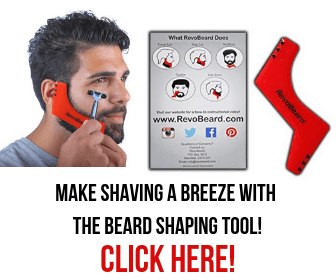 Grab some hair wax and join the latest trends. You can still be considered emo, don’t worry. It’s all in the styling. 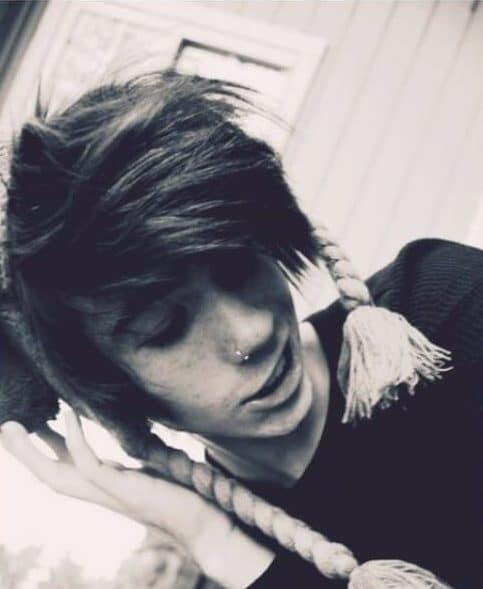 Although this is yet another one of those emo hairstyles for guys that require a lot of maintenance, it is entirely and completely worth it. The look is outstanding and, with the proper accessories and styling, you will look like a super style icon. The reasons why this is called the Oreo are pretty obvious. This cookies and cream color combination, as well as the pattern in which the color is used, is very artistic and inspirational at the same time. We also love the little beginning of an emo mullet in the back. 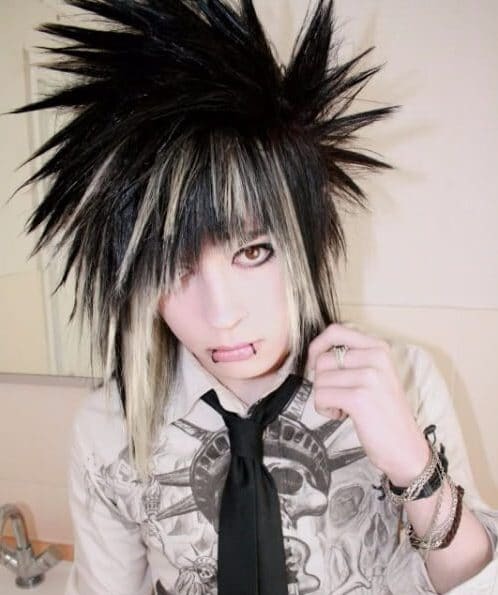 When you are in love with the emo subculture, the hair styling possibilities become limitless. Here are the famous long spikes, this time in a combination of the classical dark black with some ivory streaks at the front, that illuminate the face and contour it a bit. If you want to get prepared for the fall season, this is definitely the color to consider. It’s a copper shade of brown, mixed with just the right amount of red, to give it this ‘falling leaves’ sensation. If it matches your eyes, then you definitely should go for it. 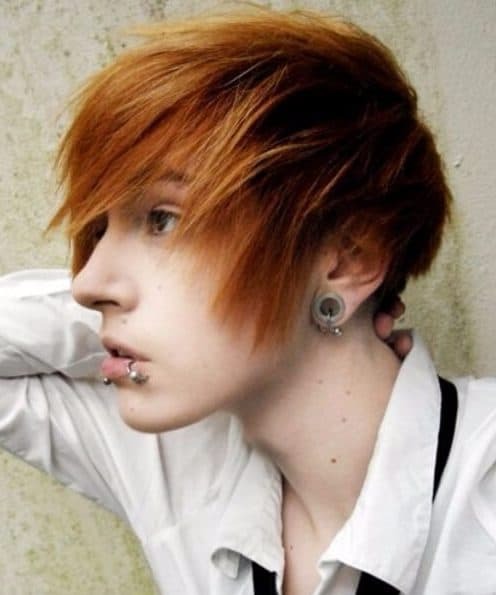 You might also like – Top 40 Freshest Teen Boy Haircuts. If you love the traditional emo bangs but you’re not so sure about the length or color, you can always opt for something intermediary. These are the V bangs, called thusly because their shape represents the letter V. You can also see a ghost of a purple hint in that glossy brunette. 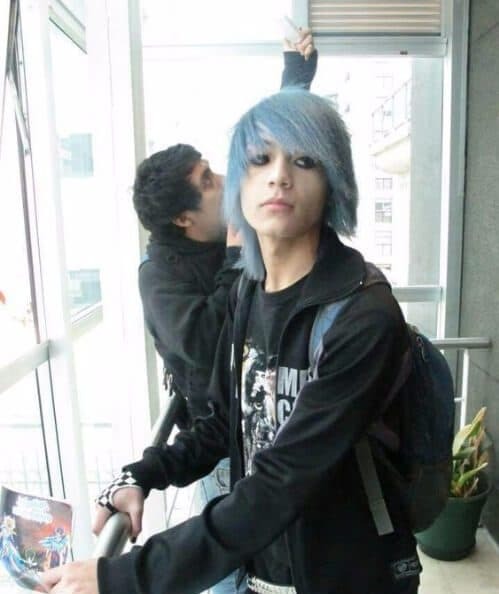 The beauty of having long hair and also being an emo guy is that you don’t have to wear it in a traditional way. Instead, you can create some very long and slim spikes. Use your bangs as well for a new and fresh look. 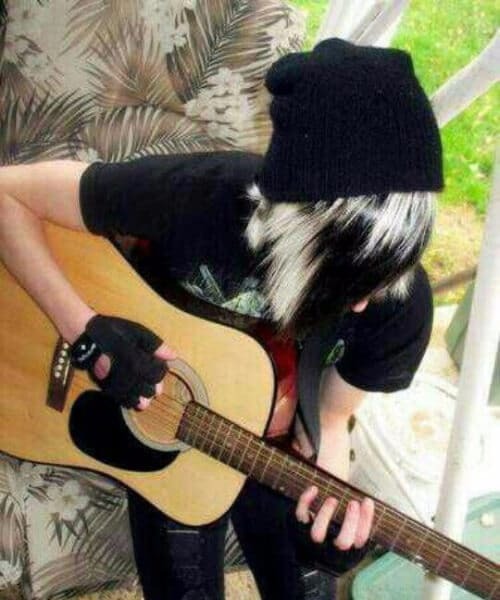 Sometimes, being emo doesn’t even have to start with your hair. Instead, you can begin with your eyebrows and highlight them in a very cool and modern way. Use a bold and daring color that you can spread beyond the actual eyebrow hairline. 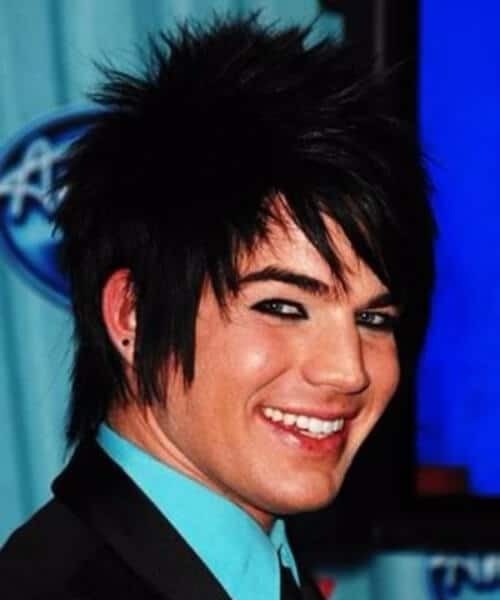 Possibly the most commercially famous emo representative to ever grace the international stage is none other than Adan Lambert himself. 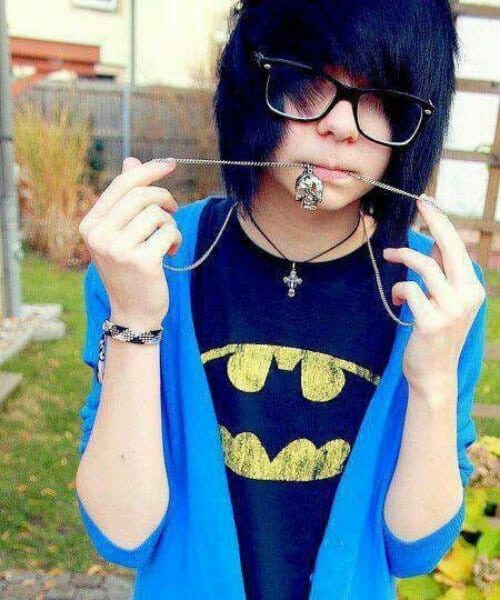 He has a legion of followers all over the world and he too wears the traditional emo banner. 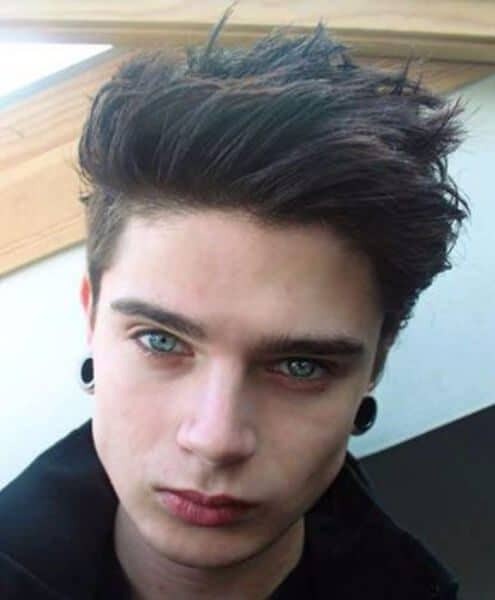 A short and spiky emo cut as well as thick eyeliner. If you really want to take things to the next level, you don’t have to stop at just two colors. You can combine three or more. This, for example, is a mix of fiery bottle red, icy platinum, midnight blue and the classic brunette. 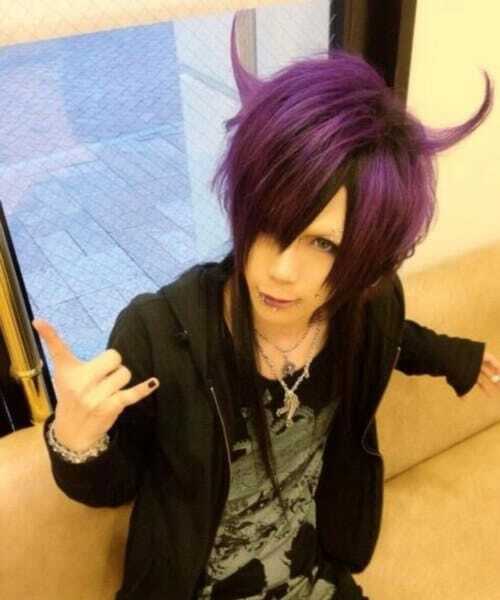 Speaking of color combinations that you can try, here is a purple rainbow perfect for emo skaters, for example. You can wear it both at school and to prom because it transitions perfectly from one situation to another. 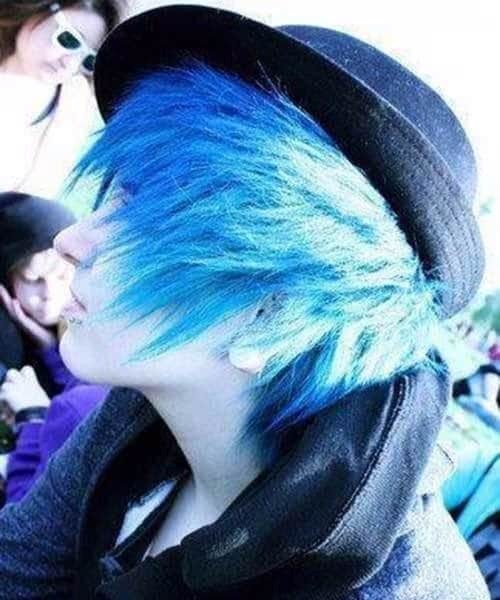 Here is an amazingly inspirational hair color that is both in liking of the original emo spirit and modern at the same time. With this shade, you will truly get the best of both worlds. It’s a gray blue, matte and in a gorgeous asymmetrical cut that works perfectly well with the dark and heavy eyeliner. The color combination really is endless. For example, this is a magnificent platinum spiked with some blue ice. The mix leads to a neon-looking shade that will highlight your eyes as well as your skin tone and make your cheekbones pop out. This sauvage look will have you use a liberal amount of hair wax so that you can create long spikes all over your head. If you have some highlights or peekaboos in your hair, they will add depth and dimension to this hairdo. 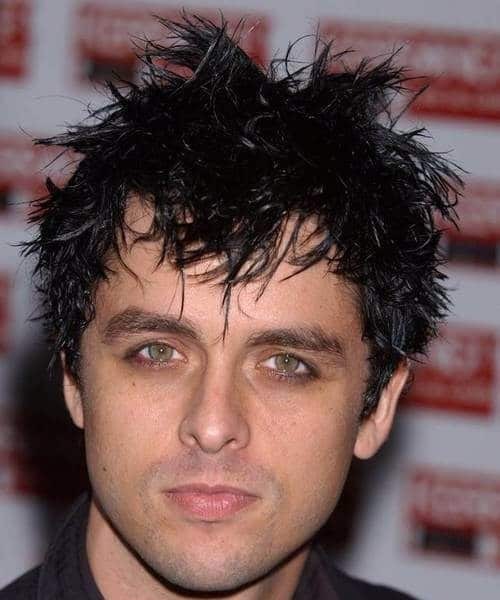 Many jokes were made about waking up the Green Day front man when September ends. 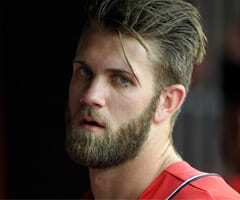 All we have to say is that if this is what he looks like when he wakes up, count us in as the waking up committee. If you’re not ready to commit to an entirely new color, then here is the solution for you. Start off with some undertones. Dye some of the strands underneath to see how they look like and how you feel about your new shade. If you like it, you can then go for the full head. Thin hair dyed in an icy shade makes for an incredible look. 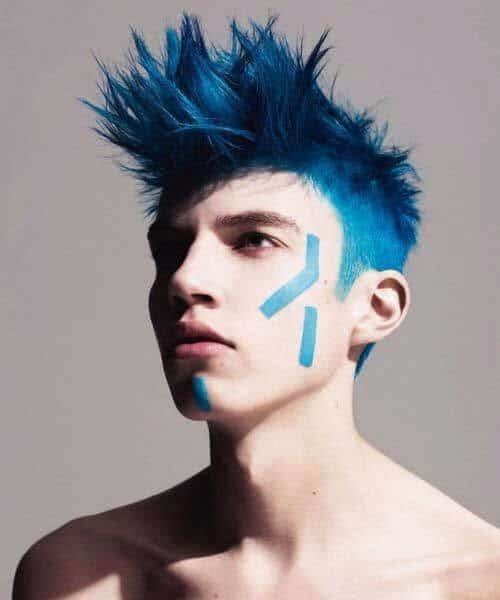 It’s modern and edgy, almost like you are a cartoon character, an X-man or a teen villain. The emo supercut helps a lot with all those sharp angles and layers. 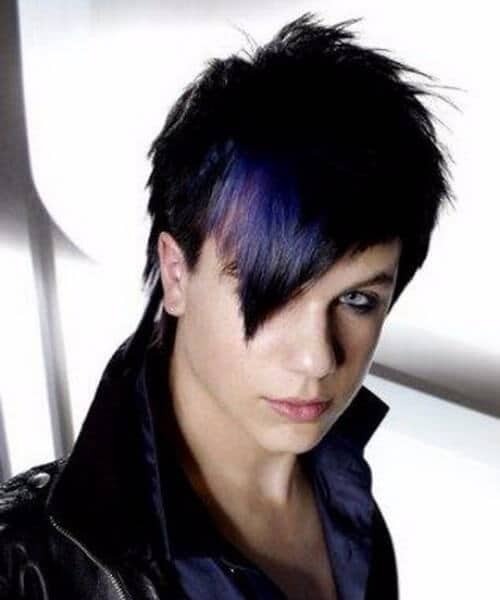 The unicorn quiff is a thoroughly modern haircut which you can now adapt to your preferred emo ways. The cut is quite simple, actually, requiring a set of long bangs in the front, which you will then model with some hair wax into a spiky top, called the unicorn. The sides and back are both cut down to a minimum. 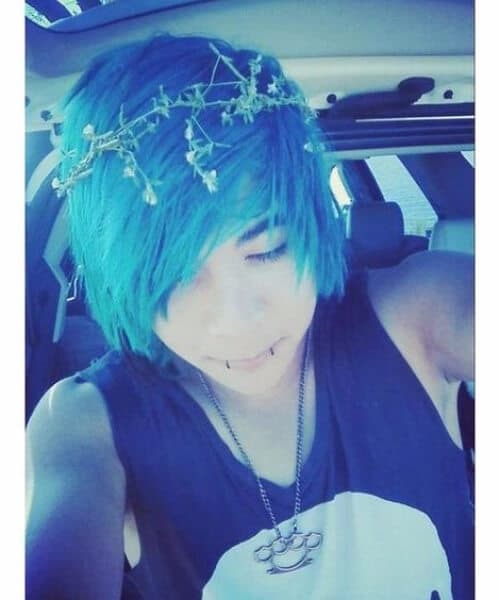 No modern emo hairstyles for guys list would have been complete without a flower crown. While this is hardly a school, street or working environment look, you can always make it your festival look. Cheers to another trend borrowed from the ladies! 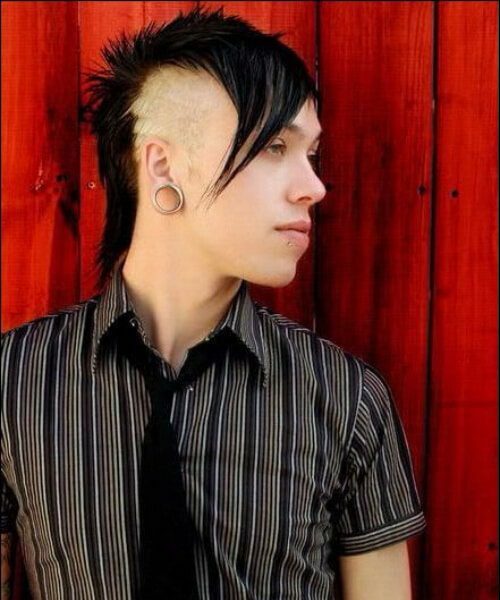 This is our selection of 45 modern emo hairstyles for guys. What did you think of them? 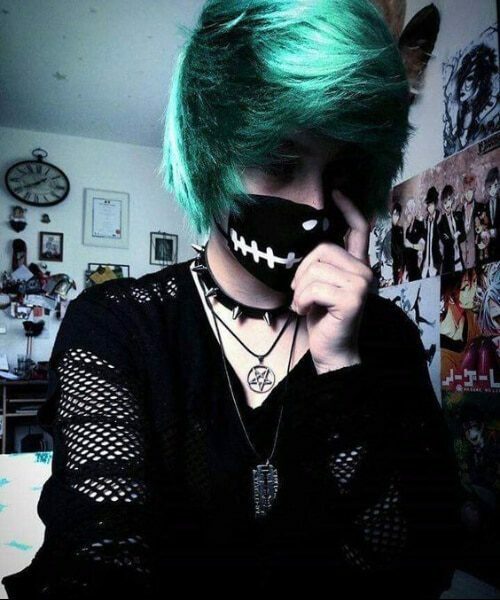 Has the emo subculture really changed that much over the years or can you still see traces of its roots and traditions in there? Please let us know what you think in the comment section below.